There’s beauty in the details. 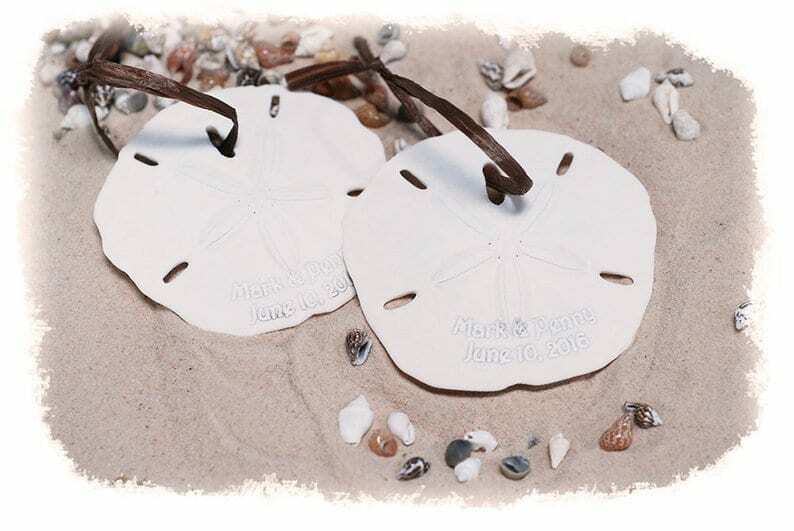 And with these perfect beach wedding favors, your guests will really feel the beach love. We’ve compiled a list of our favorite favors to keep an affordable beach wedding real! All of these favors come with a price tag no more than $5 each. And some are as affordable as $2 each! Beach Wedding Cookies Ohhhh, ahhhh, yumm! 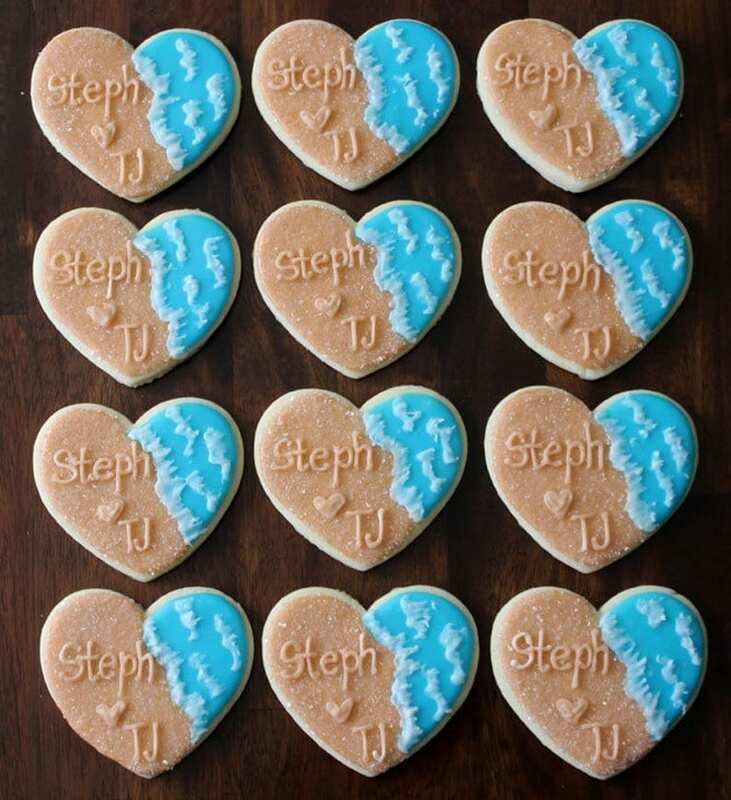 That’s what guests will be saying after enjoying these fun beach wedding cookies. This etsy seller gets bonus points for prompt orders, amazing design, and delicious cookies! Sunglasses: Functional, fun, and talk about a great opportunity for an awesome group pic! 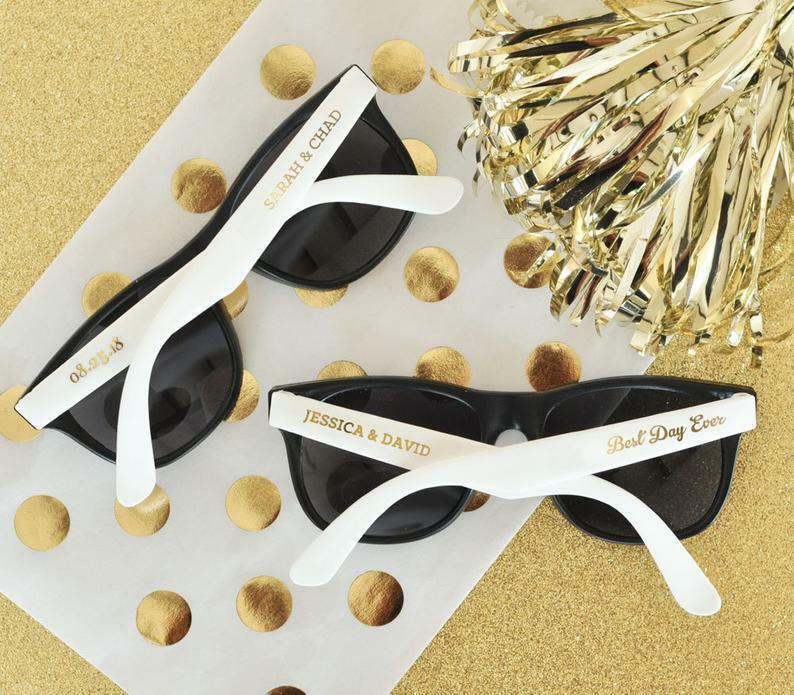 These sunglasses are the perfect accessory and gift for your beach wedding! Sand Dollar Christmas Ornament: Remember the ocean breeze and sandy shore every Christmas while dawning the tree with these beautiful keepsake ornaments. A great wedding favor for guests, wedding party, and newlyweds! 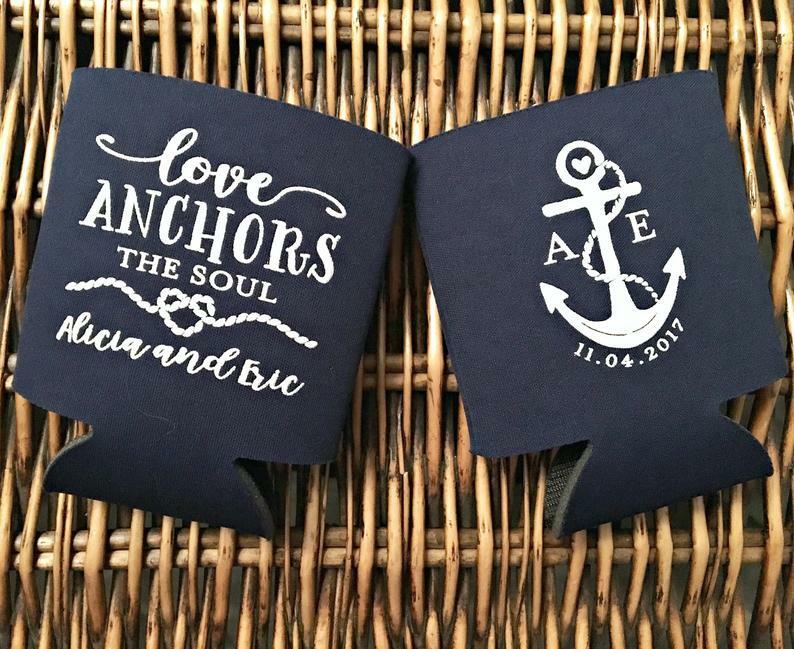 Personalized Beach Wedding Coozie: Colas, Beers, and Waters can find their home in these fun keepsake coozies. Cheers to the new couple! 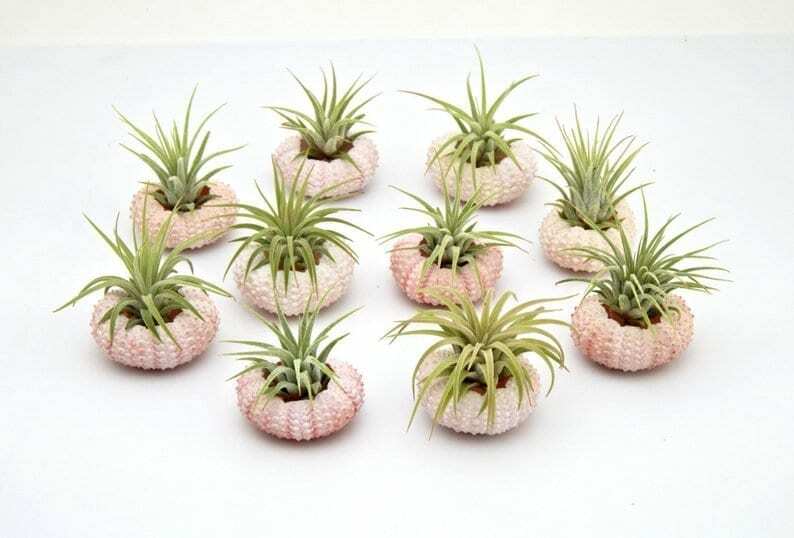 Air Plant Sea Urchin: How cute right?! And added bonus, you don’t need a green thumb to keep these fun plants alive. Just a weekly water and a lil’ sunshine will do the trick. Feeling inspired? You’re sure to gain “favor” with your guests with these beach wedding favors! 😉 And if you think these favors are affordable and fun, you should check out our beach wedding packages. You’ve gone through it all. The exciting engagement The fun planning. The dress shopping. The location choosing. 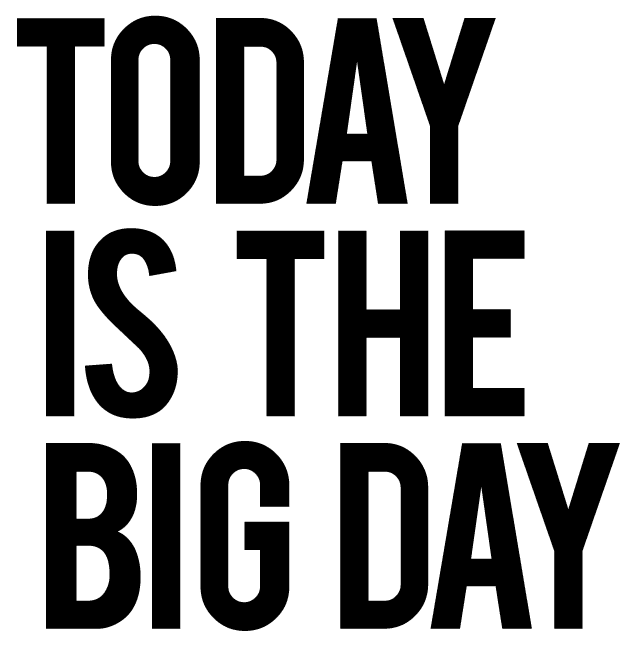 And it’s finally here, your big day. So now what? Well, hopefully you can sit back, relax, and enjoy your big day. 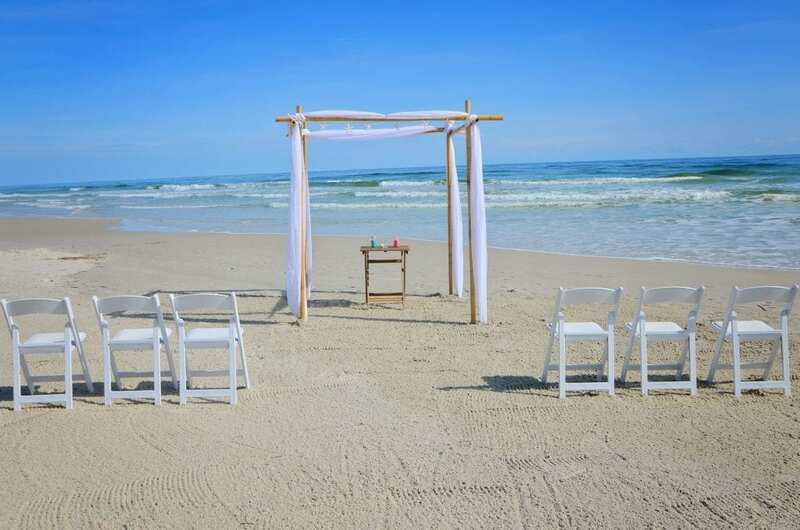 And if you’ve hired Florida Beach Weddings as your beach wedding planner, all systems are go! So here’s all you need to know for Beach Planning Wedding – the day of your wedding! Time management is your best friend as you prepare for the day of your beach wedding. You’ll have a detailed literary from Florida Beach Weddings explaining the exact times of where to be and when. So we’re going to focus on pre-wedding timeline plans! Hopefully you’re waking up on your big day refreshed and well rested. Well maybe we should back up and say, it’s important to get to bed at a decent hour the night before your wedding. And don’t party hard. A glass of wine or drink the night before is fine to settle any nerves and unwind. However, hangovers, headaches, and regrets are NOT the way to start your big day! Then start of with a normal breakfast. No need to change things up here from your regular routine. A girl’s got to look good on her big day! Whether you’re doing a D.I.Y. wedding hairstyle or getting a professional touch, remember the 2 hour rule. You should allow at least 2 hours for hair (shampoo, blow out, the works). And you should have about 2 hours before your wedding of being “aisle ready.” Meaning you should be ready to walk the aisle- hair, make up, fed, ready to rock and roll. This sounds like a lot of time, but inevitably something will take a little longer than expected, or traffic, or… Better safe than sorry. And you can get some beach wedding hair inspirations here! Breakfast, lunch, do your thing. Don’t eat anything out of the ordinary on your wedding day. It’s best to just stick to the usual. If you normally pig out for breakfast, do it. Breakfast skipper? Skip it. And make sure to stay hydrated. It’s easy to get caught up in all the excitement that you forget the H2O. Don’t let dehydration happen to you! And it’s also a good idea to pack a healthy snack for a little pre-wedding snack. You may lose track of time and not eat for hours and we want you feeling your best on your best day! One thing couples often forget is how to deal with “needy guests”(you know that friend who always gets lost, explaining to grandma where to park, flower girl’s mom with 1,000 questions). It’s best to have your maid of honor or other reliable friend as a contact for any wedding guest Q&A. Send out his/her phone# to guests and indicate they can call them with any questions. Or simply give her your phone the day of and she can play operational manager for the day. So you’re ready to go! Wait until the last 30-45 minutes before leaving your last stop before the wedding ceremony to get dressed if possible. This eliminates chances to get stains, wrinkles, etc. And don’t forget to use the restroom before dressing. Stay in your air conditioned car for as long as possible before meeting your wedding coordinator. 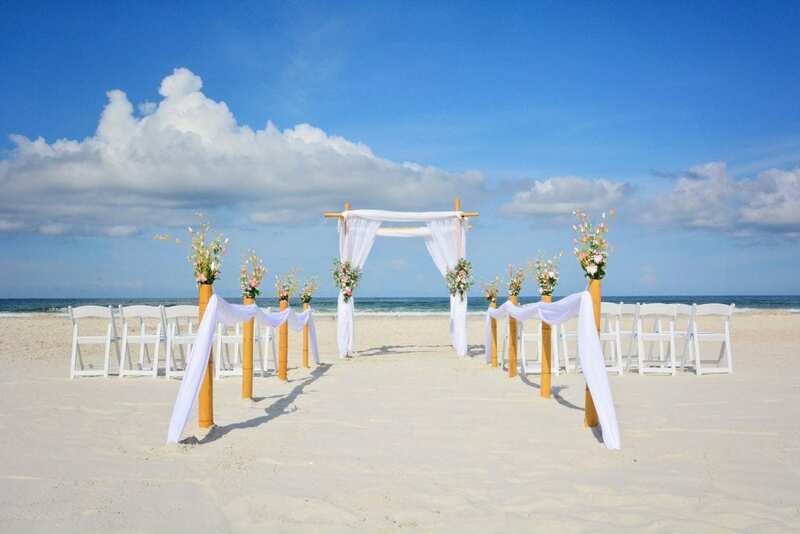 Once arriving to your wedding ceremony location all the beach wedding planning is a thing of the past. 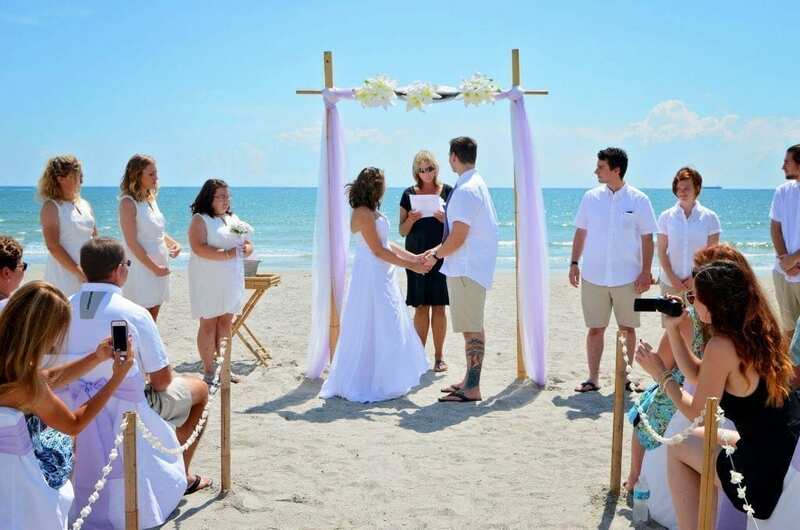 Florida Beach Weddings will give you instructions on where to go from there. And you get to simply enjoy the beautiful beach and your stress free wedding. Well that’s everything to do the day of. And if you’re not quite there yet, but like the idea of a beach wedding, contact us to start planning today! You’re big day is approaching. And you’ve got the beach wedding planning ideas rolling like the waves! 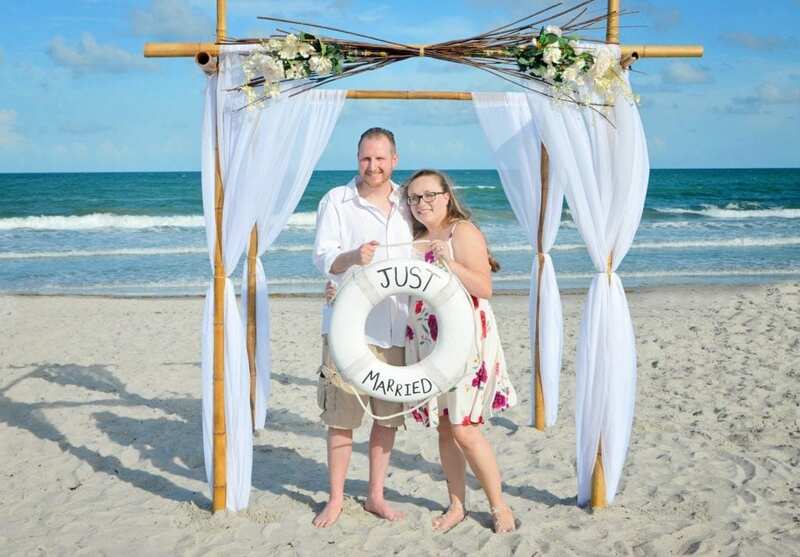 But before you end up drowning in the ocean of wedding planning, be sure to avoid common beach wedding planning mistakes. More budget friendly wedding tips here. There is certainly a healthy level of anxiousness that comes with committing yourself to another human for the rest of your life. 🙂 But cold feet and a stone cold stressed out bride are two different wedding animals. And avoid falling into either category. 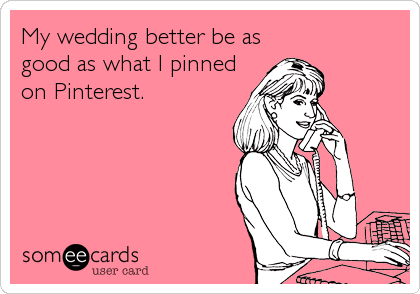 Remember, at the end of the day, you’ll want to look back with fond memories of planning and your wedding day. With over a decade in the beach wedding planning business, one word of advice for you: TRUST. Trust that you will have a beautiful wedding ceremony. 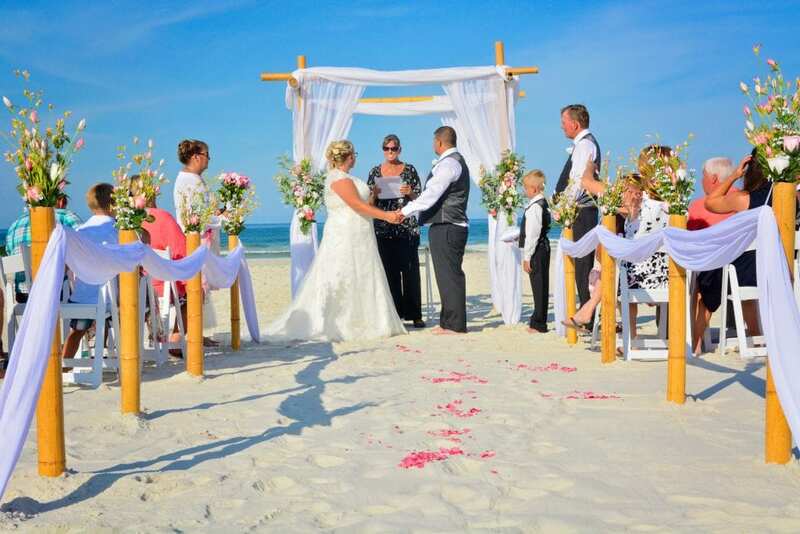 Trust that you won’t be stuck with hidden fees with our up front affordable beach wedding package options. Yes, we said it. And since there’s no elephants roaming the beach, let’s address the blue whale in the room. Pinterest, Buzz Feed, Facebook, Tumblr.. Healthy choices, people. It’s ok to get inspired. It’s not ok to get obsessed. Whether it’s the perfect wedding or bridesmaid dress, make up tutorial, hair D.I.Y., photo pose, or beach wedding dream experience (you know the kind with magical sun rays, the perfect amount of wind, high heels in the sand- ha ha yeah right), keep it in check. So get your ideas, be inspired, but keep reality in check and focus on enjoying your day more than absolute perfection. We go into detail with the trouble with D.I.Y. weddings here. But the bottom line is the budget, time planning, and details involved in planning and executing your own wedding is often misunderstood until you’re too far in planning. 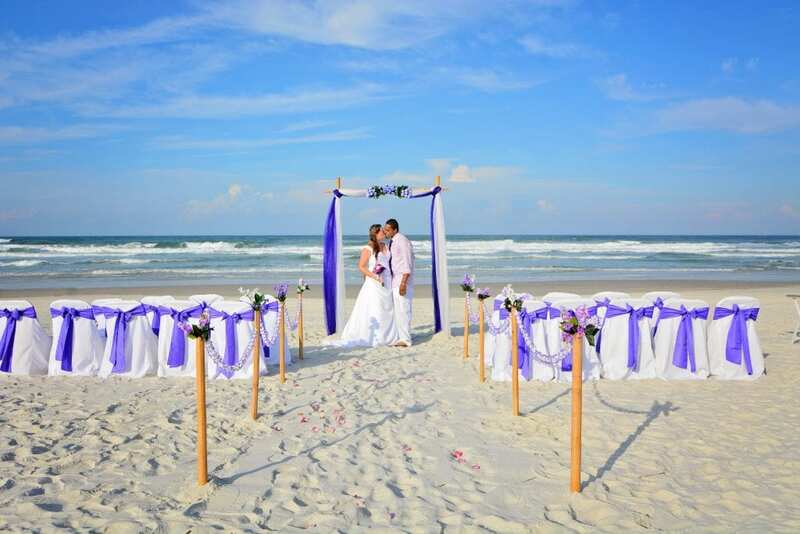 Let Florida Beach Weddings give you a stress free beach wedding experience and keep your budget. A win-win! 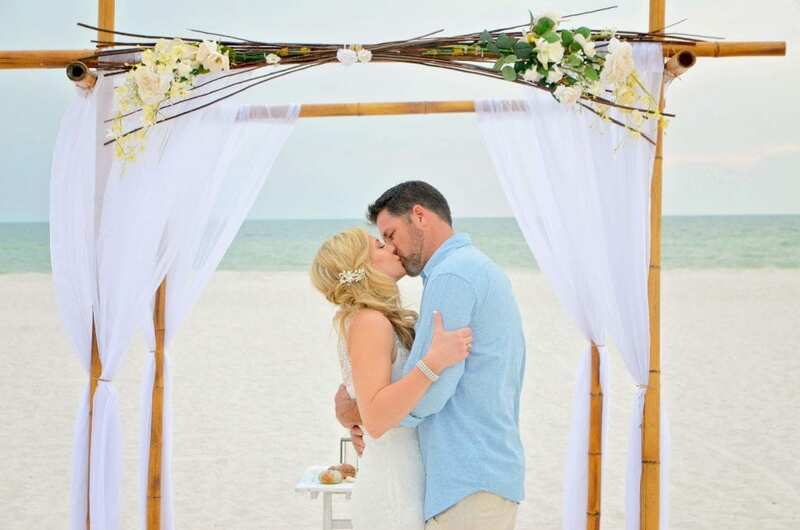 Well we’ve covered the Top 5 Beach Wedding Planning Mistakes, now for the #1 thing you SHOULD have on your beach wedding planning list, contact Florida Beach Weddings! White: White is such a classic color that really goes with all seasons. And it allows you to really be creative with your focal points of design. The clean subtle white design blends seamlessly with the sand and water allowing you to bring pops of color through floral bouquets or clothing/attire. If you’re on a tight budget this white elopement package gives such a classic, elegant look. PASTELS: Walk down any aisle of Michaels, Hobby Lobby, Target, late February-May and you’re going to be wandering through a pastel wonderland. It’s because you can’t say the word spring and not think of baby pinks and blues, soft greens and yellows, and maybe Peter Rabbit. 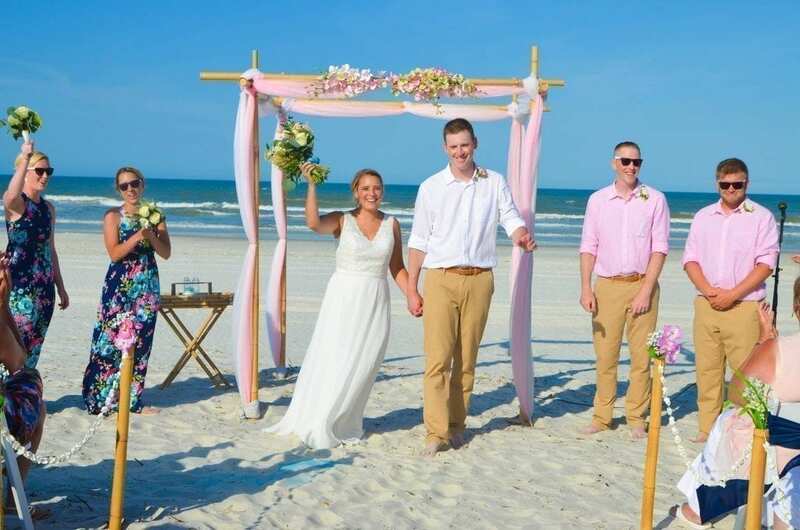 😉 In the beach wedding world, we get all spring-time swooned when it comes to these gorgeous Spring Beach Wedding designs. Another great thing about a Spring Beach Wedding is the lovely weather. There are usually a few lingering “cold days,” and we use the Florida definition of cold. Florida Cold: Any temperature below 70 degrees Fahrenheit. Spring Florida temperatures can range anywhere from upper 50s to low 80s, which by most standards is pretty pleasant weather. Ok, so Florida Beach Weddings are affordable all year long, but we just thought it was worth mentioning. 🙂 Our all inclusive wedding packages allow couples to have the wedding of their dreams without breaking the bank. And if we had an image to match the stress level for couples planning a beach wedding with Florida Beach Weddings, it would probably be something like lying in a hammock on the beach! Affordable, stress free, gorgeous- the triple play! 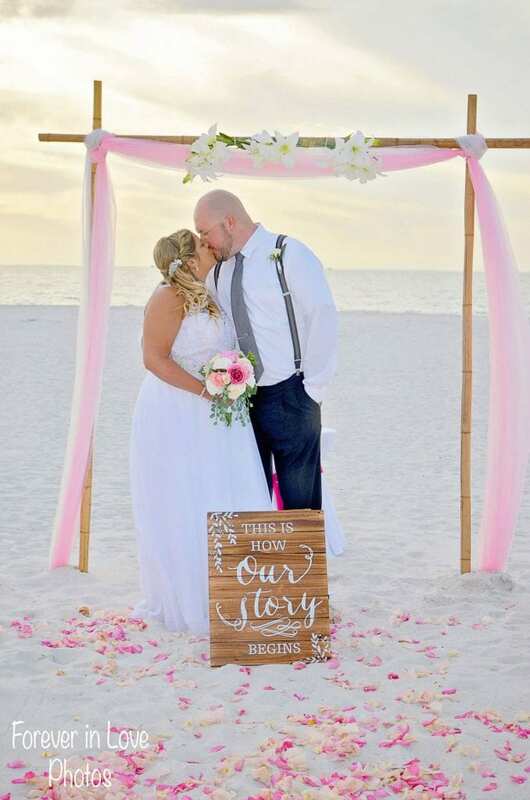 Ready to plan your Florida Beach Wedding? Click to contact us and start planning! Keep scrolling to check out some of out favorite Spring-spirational wedding set ups! Did you know the average engagement period is 14.5 months (thanks theknot.com for that stat)? And when it comes to traditional wedding planning, you need almost every day of that time to plan. 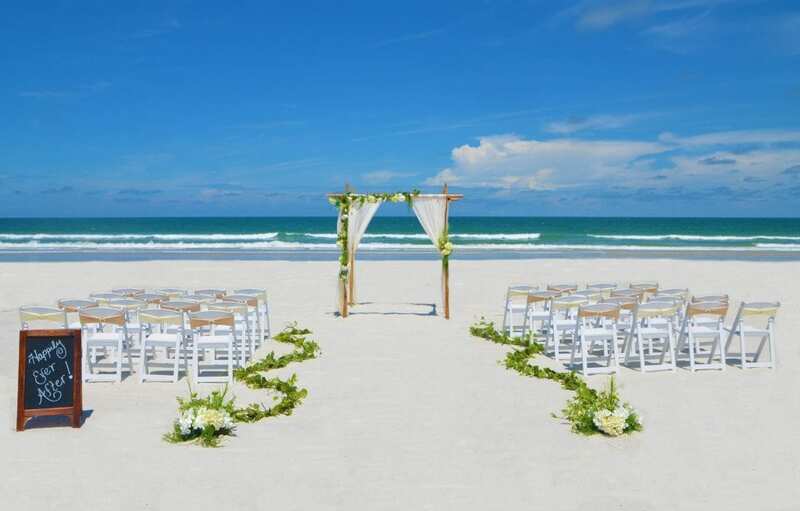 However, when it comes to a Florida Beach Wedding, you can that planning down substantially. And less time does not mean less stress. 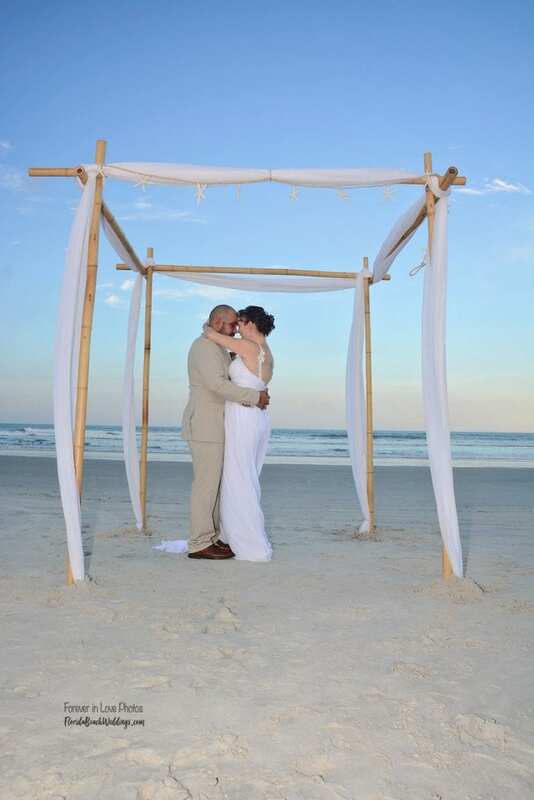 Our expert beach wedding planners have actually arranged beach elopements within just a week! But whether you want to get married next week, next month, or next year, our stress free and affordable wedding planning services will make your bridal ride smooth and enjoyable. 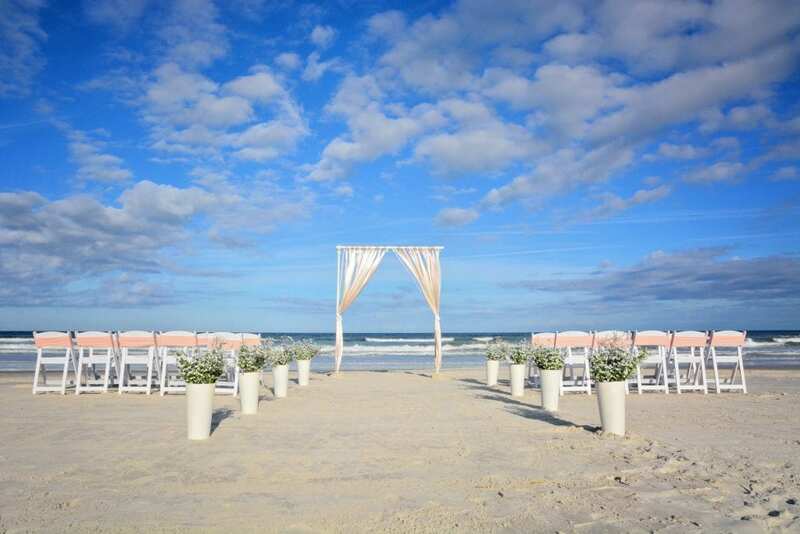 Read on to see how we can create the ultimate stress free beach wedding for you! And our wedding planners are available to help and guide you in creating the ultimate dream beach wedding. Oh and add to the list of things NOT to get stressed about: BUDGET! Our affordable beach wedding package prices will allow you to enjoy your wedding day and you won’t go home with a new wedded debt! 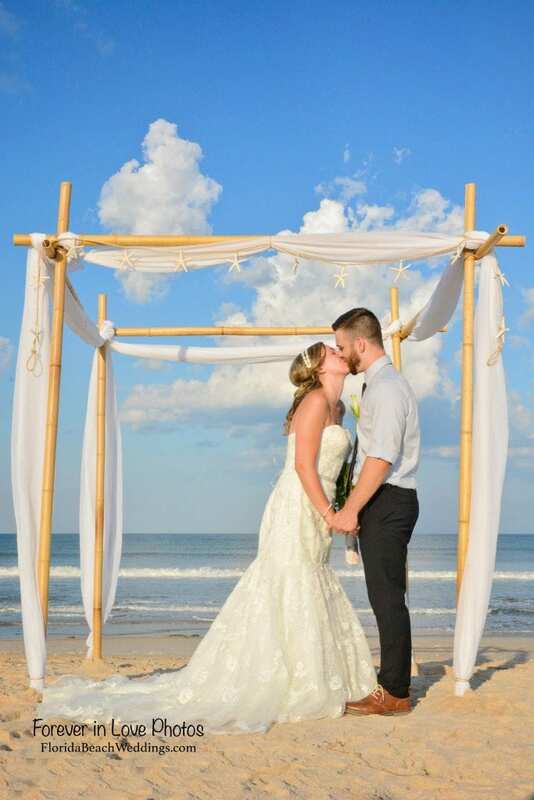 Contact us today to experience the joy of a Stress Free Beach Wedding!